Blue Cheese is one of the finest examples of hybrid Indica Marijuana find out why in our Barneys Farm Blue Cheese Review. 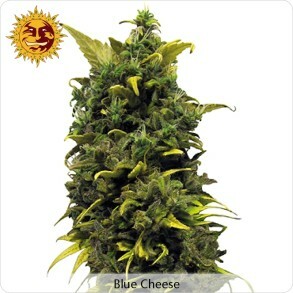 Blue Cheese offers the grower the unique combination of both the Skunk #1 Cheese and the highest quality Blueberry that Barneys Farm could acquire in order to complete the back-cross and form an entirely new stain. 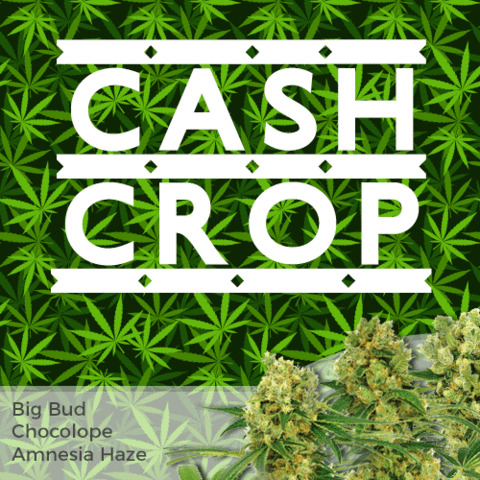 Big yield and tasty buds are assured with both Big Buddha Blue Cheese, as well as Barneys Farm Blue Cheese Marijuana Seeds, it will depend upon your own personal choice as to which Marijuana Seed Company you decide to select. To assist you, here are our thoughts, to help form our Barneys Farm Blue Cheese Review. The Complete Barneys Farm Blue Cheese Review. 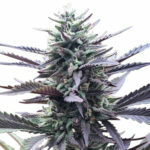 By selective breeding of the famous Skunk #1 “Cheese” Marijuana strain with the original and highly popular Blueberry line, Barney’s Farm has produced a highly productive, very easy to grow strain of Medical Marijuana, which, upon maturity yield an incredibly fragrant and tasty amount of high quality buds. Bred to contain the intense and pungent cheese aromas so characteristic with the Skunk #1 strain, the Barneys Farm Blue Cheese is tempered with sweet blueberry undertones, most noticeable upon exhale. The Flavors are soft but assertive, with both the Cheese and an underlying taste of berries n’ cream. In vegative growth, Barneys Farm Blue Cheese stays relatively short, and squat, ideal for a Sea Of Green or SCROG indoor growing system. 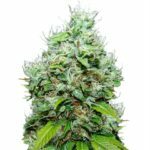 Blue Cheese Marijuana Seeds produce strong, stocky plants, which exude strong side branches that in turn develop into very hard, tight, sticky colas and buds during a relatively short flowering period. Our Barneys Farm Blue Cheese Review of the product in their own Coffee Shop in Amsterdam showed us the buds had an extremely potent effect, as well as inducing a calming and relaxed feeling. Barneys Farm Blue Cheese is a true sensation for Indica enthusiasts. 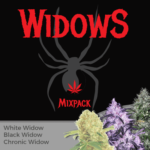 As well as Barneys Farm Blue Cheese, there are a wide and diverse collection of Medical Marijuana Seeds both Sativa and Indica that are available from Barneys Farm. Over the last decade, Derry has built the company into a range of high quality Amsterdam coffee shops, as well as a leading worldwide supplier of some of the finest Marijuana Seeds. A visit to Barneys Farm Coffeee Shop in the heart of Amsterdam is a must for all smokers. 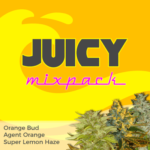 With some of the very best choices of both high quality Marijuana, as well as Hashish and “Ice” Barneys Farm is the place to sit, relax and unwind, smoking some of the very best Marijuana available. For those of you that cannot make that trip quite yet, consider purchasing some Barneys Farm Seeds and grow them at home, follow the link below for more information. Barneys Farm Coffee Shop Reviews. Here are some reviews from people who have visited Barneys Farm Coffee Shop recently. Delboy from Ireland. Visited 28/3/2011. Sent 1 Apr 2011. What else is there to say about this place? It’s the place to be in Amsterdam, best weed menu – be sure to smoke the Blue Cheese, beautiful! Friendly staff and efficient, always a steady flow off people coming and goin. Grab a seat if there is 1! Only downside to this place, stay away from the muffins, overpriced at 7.50 for .2 of a gram! Q from Amsterdam. Sent 29 Dec 2010. Expensive, but best coffeeshop ever. Best quality ever. Everyone with cash and wants to smoke real bad go to that place everyday! Had the Vanilla Kush, totally worth it (Cannabis Cup winner 2008) and G13 Haze, man that stuff blows ur mind! TheNew Schmoo from USA. Sent 7 Dec 2010. Barney’s is pricey and perpetually crowded, but they have a great selection and some nice amenities. I would suggest making use of their Volcanoes because it really stretches your weed, so you get the best bang for your buck. The menu of food (particularly the shakes) is a major plus. Barneys Farm Blue Cheese Review Video. 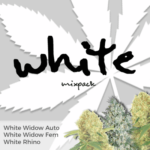 Listen to these 2 top guys after the Cannabis Cup, even then the Blue Cheese Rocks….